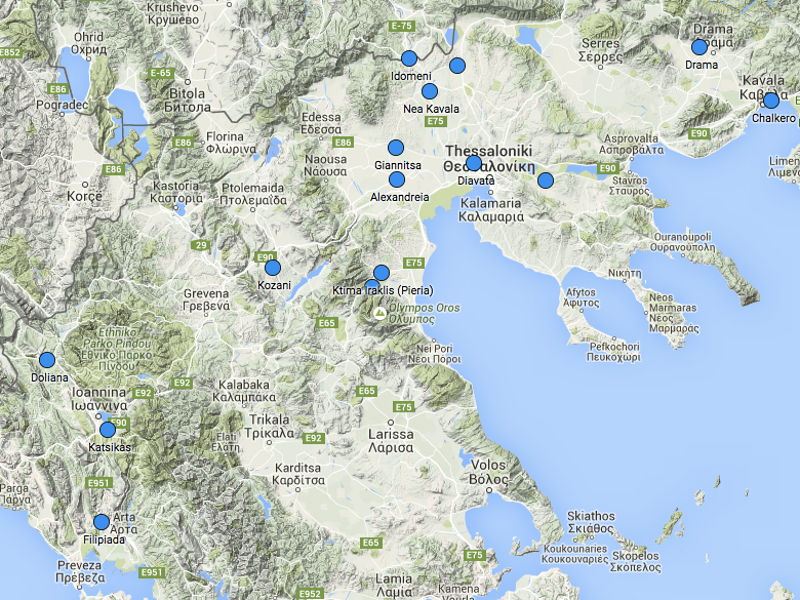 Startseite »Monitoring»Bulgaria»Bulgaria as an alternative Route? The complete closing of the humanitarian corridor caused a humanitarian emergency in the Greek village Idomeni. In the recent days Bulgaria’s politicians have expressed their fear, that an alternative humanitarian corridor could emerge via Bulgaria. The Foreign Minister Daniel Mitov warned about such developments and the Interior Minister Rumyana Bachvarova stated that the EU Commission was already asked by Bulgaria for help in order to boost the security at the Greek border. Bulgaria’s Defense Minister Nikolay Nenchev talked about the possibility of building a new fence between Greece and Bulgaria. Until now Nenchev did not see it as an important step, but rather as a ‚last resort‘. He mentioned that the army at the border will only be used in “emergency cases“. In the beginning of March 2016, a drill was held by Bulgarian authorities at the border crossing Kulata-Promachonas, which is located about 125 km away from Idomeni. The new border fence between Bulgaria and Turkey is not ready, yet. In February 2016, the Bulgarian government decided to spend additional 17 Million Euro on it, 47 Million Euro were already paid. 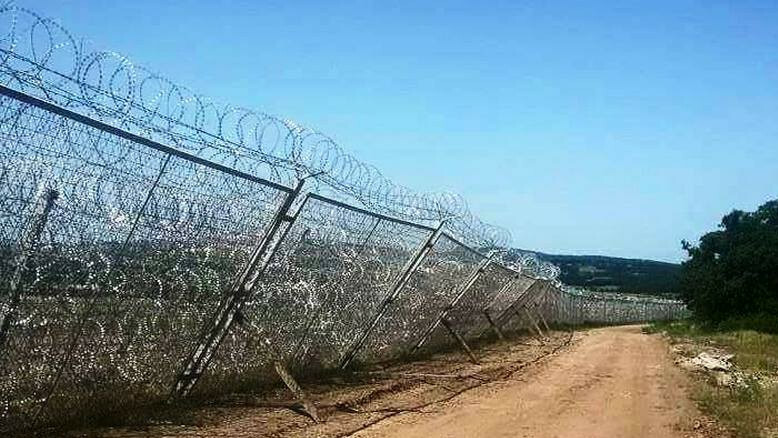 In May 2015, the first stage of the fence (with length of about 33 km), which was build after the (so called) refugee crisis in Bulgaria 2013/14, had problems as it partly collapsed and the Bulgarian army had to underpin it. Other reports referred about rust and wholes in the fence or people who threw carpets on it to climb over. The period of constructing the small fence took about 10 months and was completed by the end of 2014 in July. The new fence of about 132.6 km, which was announced 12 month ago, is supposed to be thicker and “has three rows instead of the existing two“. Nevertheless, at some places such an intend is extremely difficult, because of the Strandzha mountain massif and the natural park with its river and hills, furthermore still 90 km of the border fence in the Burgas region have not been built, yet. By the end of May 2016, 8 km are planned to be finished in the region of Yambol, where the new fence is affiliating the old fence. According to a report made by Offnews, the patrols consisting of both the Bulgarian and the Turkish border police forces are still not formed and on duty. The Joint Contact Center for the Bulgarian, Turkish and Greek border police units is also not ready. Thermographic cameras are not working very well, because of unpaid electricity bills. Different European countries already offered Bulgaria their help on a bilateral basis. The government of the UK additionally decided to donate 40 Land Rover military vehicles for securing the border. The “Defender Tithonus Land Rovers“, at the amount of 570,938 Euro, will be delivered for free. David Cameron visited Bulgaria at the beginning of December 2015 and hailed the “important work“ of Bulgaria’s security forces. As the temperatures are getting warmer in the next few weeks, many people will most likely try to reach Europe by using the green border between Bulgaria and Turkey. Hopefully this can happen in a peaceful way. Recently Meglena Kuneva Bulgaria’s deputy prime minister, failed to defend the violence which was used by the Bulgarian border police at Europe’s external borders. Border Monitoring Bulgaria (BMB) calls for a safe passage for the fleeing migrants, especially in the context of the biggest migration movement since World War II.